When Martin Heng travels overseas as a person with disability, he needs to find an accessible hotel room, work out if public transport is wheelchair-friendly, and accept some shops and restaurants will be nearly impossible to enter. These are just some of the common frustrations shared by people travelling with a disability, but according to Heng, travelling could be made a lot easier. “It’s about ensuring all links in the tourism supply chain are made accessible, from airports and airlines to public transport to tourist attractions to shops and bars,” Heng told Pro Bono News. Heng – who suffered a damaged spinal cord and quadriplegia from a car collision while cycling – is chair of disability information service IDEAS and Lonely Planet’s accessible travel manager. He is a strong advocate for inclusive tourism, which is about creating an environment where people of all abilities feel welcome and included when travelling. Heng said this was not only about making things more accessible, but about providing clear information so people could plan ahead and make an informed choice. He said it was incredibly irritating when he visited a venue’s website and couldn’t get information about the layout of facilities and bathrooms. 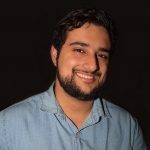 “It’s simply not good enough to hide this information away under FAQs and not to make photographs of bathrooms in accessible rooms freely available,” he said. Heng said it was important to remember inclusive tourism was not all about wheelchairs, as less than 10 per cent of the disability community were wheelchair users. Instead, the most important thing was for businesses to provide disability awareness training. “When someone with a disability comes into your establishment all you need to do is ask, ‘how can I help?’ Even within different disability groups, such as multiple sclerosis or spinal cord injury, the range of abilities varies greatly,” he said. 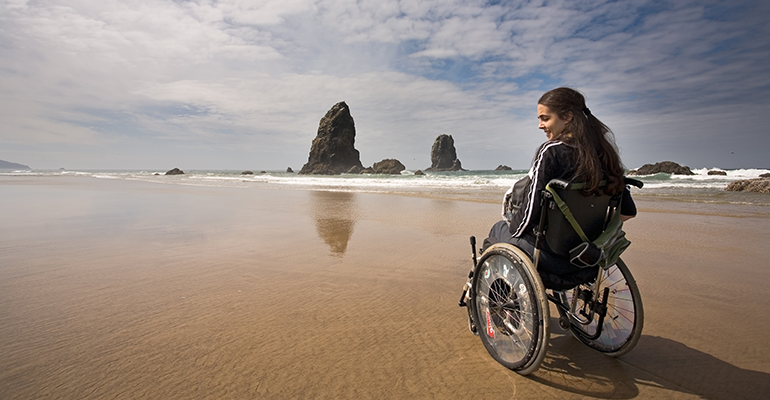 Given that people with disability account for almost 20 per cent of all tourism spending in Australia alone, Heng said inclusive tourism could help businesses maximise their reach and revenue. “The importance of inclusive tourism, then, is not just a human rights issue, but also an economic imperative. Frankly, perhaps sadly, it’s the latter that’s more likely to shift the dial than the former,” he said. The link also contains some good resources for business, operators and councils. Worth having a look and I encourage anyone interested or involved in this area to do the 40 minute course as an intro to inclusive tourism practices. Its a reminder that people living with a disability have the desire to travel and do travel. With regard to market size, lets not forget the multiplier effect when travelling with family, friends or carers. I’m just experiencing travel with a disability for the first time – while there is accommodation with roll in showers, they fail to provide beds which a hoist can fit under. How do I lift my hubby from his wheelchair to the bed and out again???? Good call Heng. I have found many websites and travel advisory curation to be misleading. We all own the responsibility to create narratives about the effective ways to develop greater capacity within enterprises. The movement created by Okanagan Valley B.C is but one example of what can happen as a result of engagement.